Tomorrow sees me wrapping all the pressies ready to take away with me. Then I’m all organised … I think. This month I have an inky tutorial over on the Rubber Dance blog. It is always fun when you discover a new way of using inks. This tutorial explores ways to combine your trusty Distress Inks with Distress Oxides for some beautiful effects to create fun backgrounds. The stamps used on this card are mainly Curious Cat and Textured Flowers from Rubber Dance Stamps. 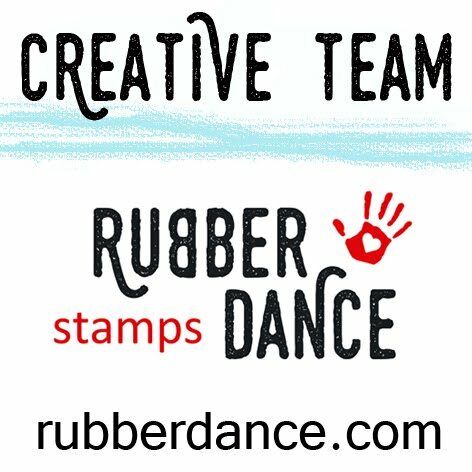 I hope you take the time to pop over to Rubber Dance and see how it has all come together. It really was a fun one to make. and hope that 2019 is a fantastic year for everyone.